Adaptive has more treats in store for you: another giveaway! This time they’re offering a bunch of free hardcovers of the completed book, which is out on November 5. (They even may be signed, if we can work out the logistics.) Enter the giveaway now through Nov. 15! And here’s a picture of me and some of the Adaptive team in NYC last week, when we met for the first time IRL! 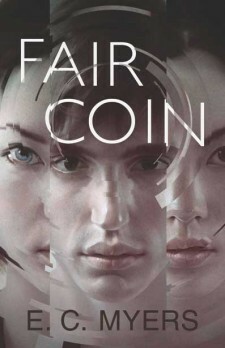 Yesterday we unveiled a shiny new Facebook page for Fair Coin! 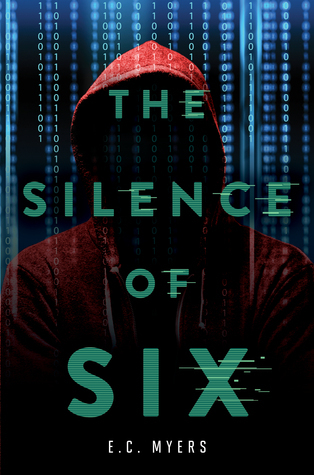 If you have a Facebook account, even if you don’t use it much anymore, it would be wonderful if you would visit it and consider clicking “Like.” It’ll be the best way to stay notified of updates on the book and its sequel, Quantum Coin; get early access to some news and content; and connect to other readers who might like the same young adult fiction you do. If there’s one thing I like as much as reading YA fiction, it’s talking about it with other readers. What else is in it for you? Well, if you want to put it that way… If you haven’t read the sample from Fair Coin yet, you can grab the first three chapters before the book releases on March 6. But the big benefit is if you Like the page, you can see the book trailer I made, which is pretty good if I do say so myself. OK, I think it’s awesome, actually. But I’m hardly an impartial judge, so you should decide for yourself! Please check out these two short videos I cut for Teeth: Vampire Tales, edited by Ellen Datlow and Terri Windling. Each poses a question of the contributors to the anthology: “Would you like to be a vampire for a month?” and “What attribute of a vampire would you like to have?” These were a lot of fun to work on and I’m looking forward to reading the stories when the book comes out on April 5, 2011 from Harper Teen. The videos include responses from Nathan Ballingrud, Chris Barzak, Steve Berman, Holly Black, Emma Bull, Cecil Castellucci, Suzy McKee Charnas, Cassandra Clare, Ellen Datlow, Jeff Ford, Neil Gaiman, Kathe Koja, Ellen Kushner, Garth Nix, Lucius Shepard, Delia Sherman, Cat Valente, Genevieve Valentine, Kaaron Warren, and Terri Windling.